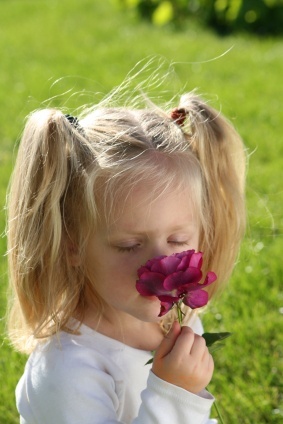 Roger at Neuromarketing cites a study that finds scented products have better recall than unscented ones. And ambient scent (as in an entire store reeking of cologne) increases recall of all products, but doesn’t help in recall of individual ones. In other words you’d remember a specific Abercrombie T-shirt more vividly if nothing else in the store smelled, but you’ll remember the entire store better because the environment has a distinct smell. Magazines have this figured out. That Cosmopolitan with the Ralph Lauren perfume stands out on the newsstand compared to unscented competitors. But if the whole aisle smelled of perfume, that wouldn’t make your choice any easier. You’d remember the aisle compared to other ones you’ve been in, though. So how can you use this in your marketing? If you can attach a smell to one particular product you offer, you will stand out in the marketplace (like the scented magazine on the rack). If you run a store and want to separate yourself from competing stores, an ambient aroma (à la Abercrombie) could help your customers remember you better. We’re still working on applying this to the internet :-).